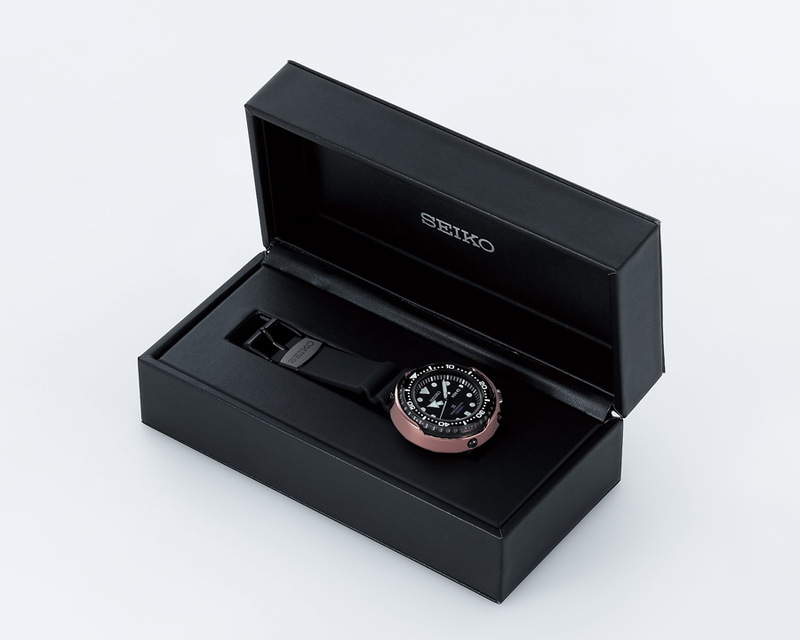 OceanicTime: SEIKO PROSPEX Marinemaster Professional 1000M L.E. 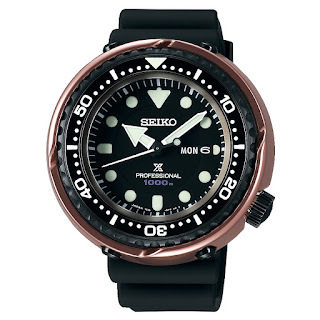 SEIKO PROSPEX Marinemaster Professional 1000M L.E. This is SBBN042, a special Tuna 1000M Quartz for the Japanese domestic market. It is a Limited Edition of just 800 pieces as indicated in the white text on its case-back. Special features incl. : a gold shroud and blue water-resistance text on its dial. Divers features incl. 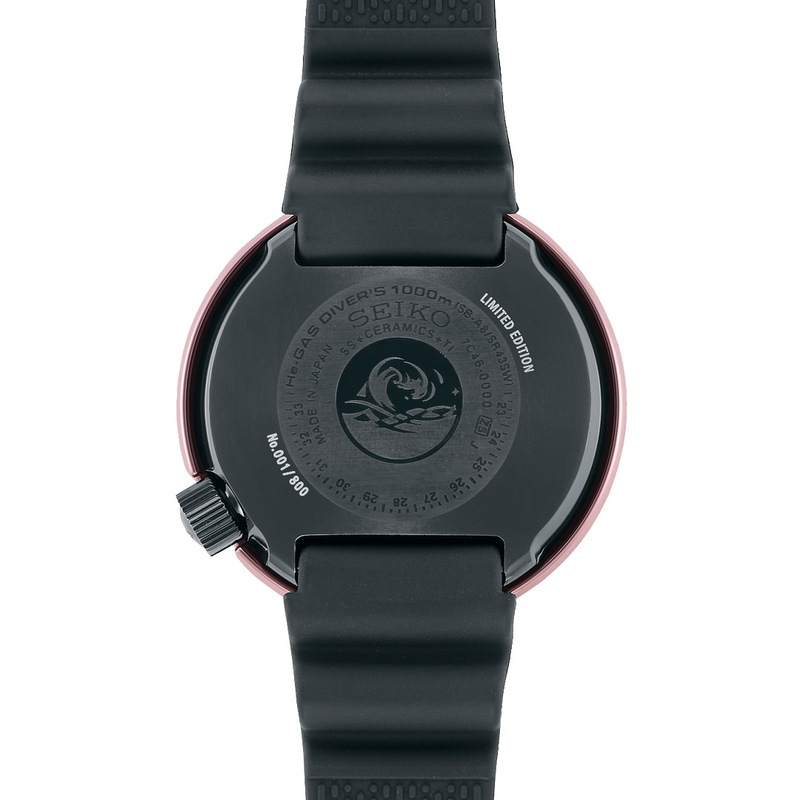 : diver’s bezel, a screw-down case-back and crown, magnetic-resistance and water-resistance to 1000 meters. The watch’s hands and markers are with Seiko LumiBrite. SBBN042 comes on a black articulated rubber diver’s strap. It is delivered in a special presentation box. Its Japanese MSRP is 300,000 JPY+TAX. Not a fan of Quartz? Check out SBDX014G.